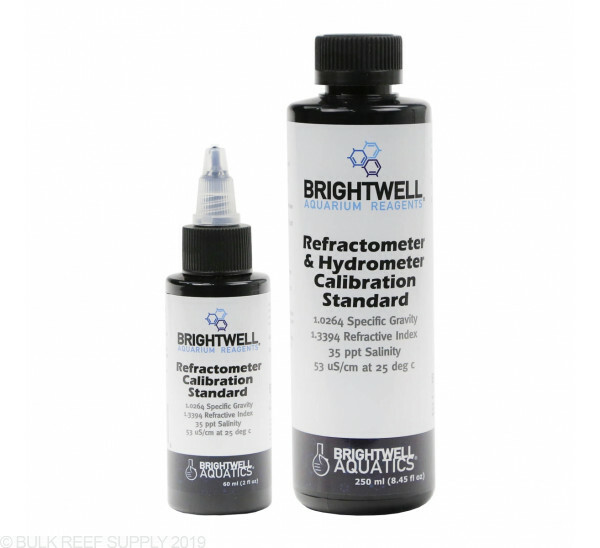 Your refractometer is only as reliable as your calibration solution! 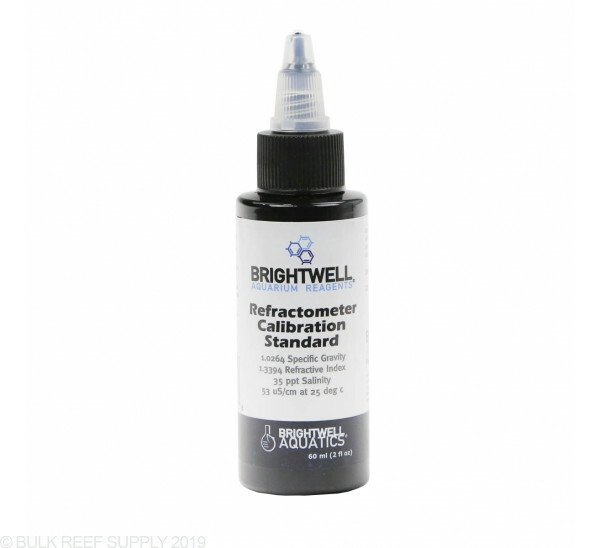 Calibrating your refractometer only takes a minute and is a critical step in ensuring your tanks saltwater is mixed correctly. Calibration of any testing device is required and the more often you perform calibration procedures the more accurate your readings will be. Refractometers are notorious for giving different readings depending on the ambient light of the room you are in. It is suggested to calibrate refractometers once a month or whenever the ambient light may change. 2. 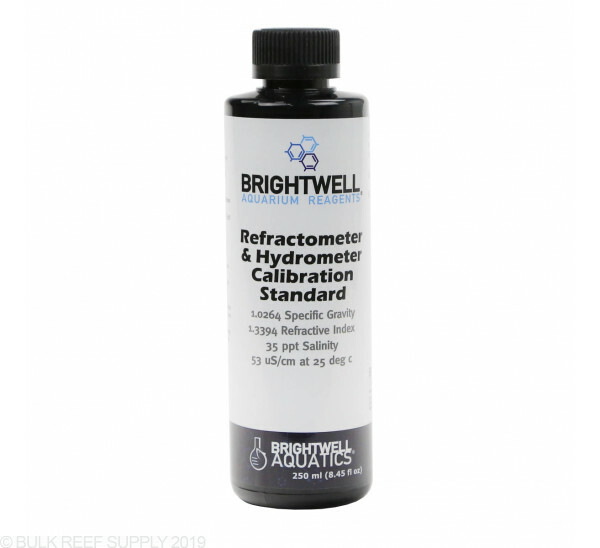 Clean and dry the refractometer prism with a soft cloth. 3. 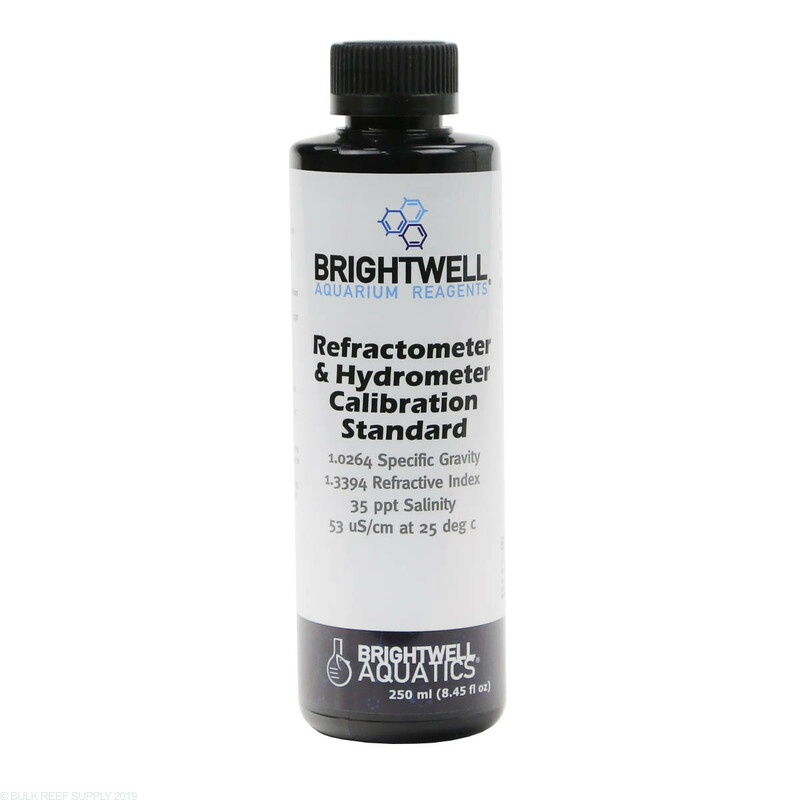 Place several drops of Brightwell's Refractometer Calibration Solution on the prism and close the cover. 4. Wait 45 seconds before taking a reading. 5. While looking through the refractometer, turn the calibration screw until it reads 35ppt. Works great, don't use old solutions or you can get a false reading if the salts begin solidify/creep inside the bottle! Standard practice,all solutions go bad, there are not sterile. This solution seems to be the wrong salinity. I mixed up some saltwater. I calibrated my meter with old solution it measured 1.022. I also have an icecap it measured 1.022. With this solution it measured 1.025. I took the water to LFS to get another data point and it was between 1.021 to 1.022.